Apple recently updated its line of iMacs, bringing 4k Retina displays to 21.5-inch models and 5k displays to 27-inch ones to the consumer market. And yes, it will still burn a hole in your pocket. After all, Apple demands premium prices for its products. But the unsung heroes of Apple’s recent product releases have been the accessories – so cheers to the new and improved keyboard, trackpad, and mouse! The new accessories are way better than their previous versions, according to me. Collectively, one of the aspects they improved on is they no longer need external AA batteries – Apple has inserted built-in rechargeable ones which are powered up using a Lightning cable. This saves you the trouble of removing, replacing, and inserting batteries after each charge. With each full charge, each one is expected to last over a month of full use and nine hours worth of power after just being plugged in for two minutes. Aside from the battery, each device has its own slew of upgrades. Let’s take a look at each device. The previous trackpad was a disappointment – luckily, the Magic Trackpad 2 is a much better device, considering that you can now “click” anywhere. It now goes beyond being usable: initial tests suggest that it has the potential to be an excellent product. The new trackpad looks sleek: it is still sloped from the back although Apple has thrown the circular ends resembling a roll of coins. It’s noticeably wider, given that it has adopted a rectangular shape. The most notable addition to the device is it supporting Force Touch, a feature present in the Apple Watch and is nearly similar to the 3D Touch in the iPhone 6s. We can presume that Apple took out the trackpads in the new MacBook Pro models and created a new, standalone product. Unfortunately, despite its awesomeness, the Magic Trackpad 2 is wickedly expensive: Apple lists it at $129, nearly twice as much as the one it succeeded. The new Magic Mouse 2 has received the fewest changes to its design – the Magic Mouse 2 is still oddly flat and looks identical to its predecessor, although it’s noticeably longer, according to The Verge. You could say that it’s still the same product, although there are a few aesthetic and functional improvements, not including the new batteries and the Lightning port. Since there is no need to reinsert AA batteries again, the removable plate on where the battery compartment is has been removed. This is a major relief to many users, considering that it was quite difficult to remove. As for the price, it’s expected to be $10 more expensive than its predecessor at a respectable $79. The new, upgraded Magic Keyboard 2 looks noticeably different. Like the trackpad, it got rid of the circular design and is now a single, sloped sheet of metal. Its biggest difference compared to its predecessor is it having larger and wider keys, reducing the space between each one substantially. The function and directional keys no longer possess their thin, rectangular shape: they are now square, adding functionality into the wireless keyboard. In terms of key placement, nothing has changed. However, if you are used to the old keyboard’s smaller keys, using the Magic Keyboard 2 will take a lot of getting used to. Your fingers will have to move differently and your muscle memory be disrupted. The transition phase will be quite a pain in the back, but regardless, doing so won’t take a lot of time to do so if you’re a typing expert. Following the suit of the other accessories, the Magic Keyboard 2 will be more expensive than its predecessor by $30. 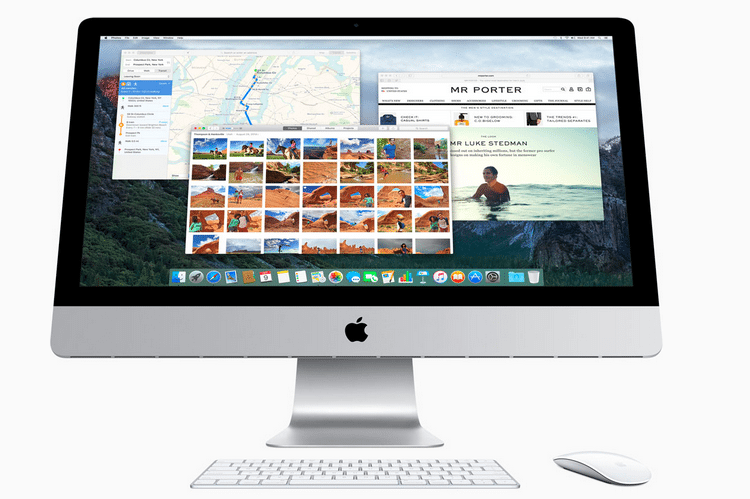 Overall, these new iMac accessories are pretty much revamped versions of their predecessors. If you order any of the updated iMac models, which are now available in Apple’s website, you will receive the Magic Mouse 2 and Keyboard 2. 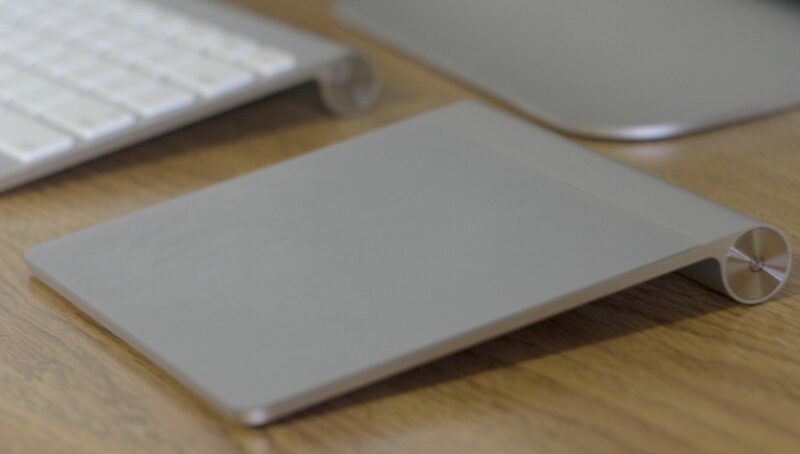 You can add $50 to sweeten the deal to add a Magic Trackpad 2 into the mix.